Teacher. Organizer. Innovator. Mentor. Advocate. Thank you for supporting a teacher running for school board to bring equity into the district that he was born, raised and taught in. Your help will benefit the 10,000+ students he will serve thanks to you. ¡Adelante! Check out our feature on Ballot Breakers! Let’s break the ballot AND the status quo and bring the change our students, teachers, and parents deserve! Hi there! My name is Jorge Pacheco Jr. and I am an indigenous elementary and middle school Ethnic Studies and Spanish teacher, a local community organizer, an education innovator and student/teacher advocate. I’m also the founder of San Jose’s first Ethnic Studies Middle School Program, a mentor for my students and teachers across our city, a court-appointed advocate for our youth in the juvenile justice system, and an alumnus of Oak Grove School District. For the last five years, I’ve been in our classrooms fighting for our students’ right to a powerful public education here in my hometown of San Jose. I grew up in these streets and struggled through these schools, and I teach in our neighborhoods every single day. I know what these kids go through, what the teachers wants and what our parents need. That is why I am now running for our local school board in the district that I was born, raised and taught in—because our teachers need support, our parents demand innovation, EVERY student deserves success and it's time our district delivers. My parents risked their lives coming to this country to give my sisters and me the opportunity to receive a powerful public education and achieve the American Dream. Despite their sacrifices, I nearly failed out of high school and entered community college deeply unprepared, a pattern that begins at the elementary and middle school level. This experience of mine is unfortunately not unique and experienced by thousands of struggling students in our district and city. Against all odds, I graduated from UC Berkeley, becoming the first in my family to earn a college degree. Education saved my life and gave me the chance to give the same opportunities to my own students, which is why I want to work with you to do the same for our district’s 10,000+ students. I know my community. I live here and teach here. I know what our district needs to do in order to bring our schools into the 21st century. We must commit to fiscal responsibility and revenue generation, we must retain and empower our teachers, and we must focus on innovative curriculum and practices in the classroom. There are students whose needs aren’t being met and great teachers who need more support. As a teacher, alumnus and school board member, I want to be their voice, their organizer and their advocate. My four sisters and I were born, raised and taught in this district, and like for my students, family and community, I love our district and will work to see our students, parents and teachers succeed. Let's come together this November to show that we love our students, parents, and teachers in a time when we need new ideas, energy and leadership the most. Thank you for your continued support, and together, we will deliver a powerful public education that our students deserve. Jorge was born and raised in San Jose to two working-class parents who cleaned homes and built cars to support their family. His mother escaped the Salvadoran Civil War and his Maya-Korean father left his whole family and ancestral village in Mexico to give Jorge and his four sisters a chance for a better life. 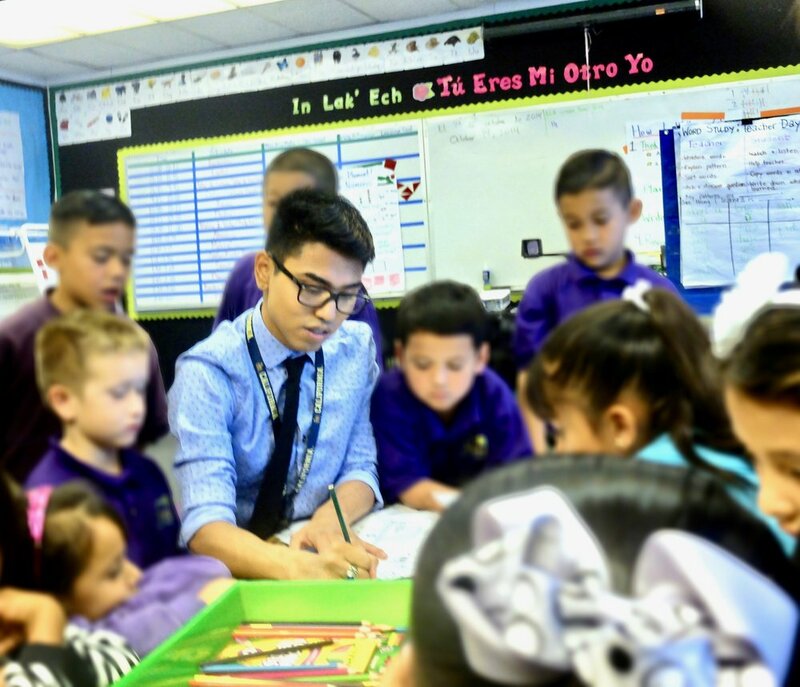 Despite nearly failing out of high school, Jorge went to community college and graduated from UC Berkeley—his family's first college graduate—and became a teacher in his hometown to mentor kids who struggled in school just like him. He owes everything to his parents and now wants to give back to his community by working WITH his community as a school board member to make sure that no kid falls through the cracks like how he did.